For 170 Years, Sacred Heart School of Halifax Has Been Empowering Strong Girls. That’s a long time to understand how girls learn and why a single-gender environment makes such a big difference in their education. That wisdom and experience has transferred into an unparalleled education and experience for girls. Here, we challenge girls to break down barriers, to aim high and then even higher, and to be the best for and in the world. 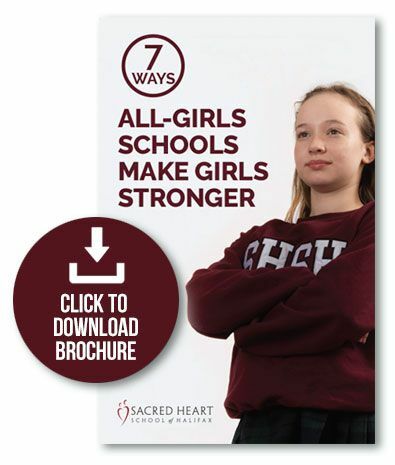 Check out our e-brochure “8 Ways All-Girls Schools Make Girls Stronger”. Happy reading! If you have any questions, don’t hesitate to reach out. PS - I would be happy to book a tour for you to see SHSH and our strong girls in action. Just click here to connect.